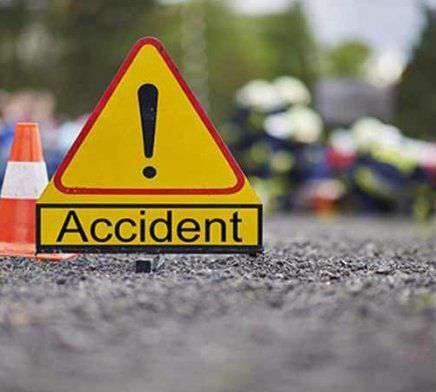 Gangtok: Four footballers based in East Sikkim died and six others suffered serious injuries in a road accident at Third Mile on Thursday late evening. The incident occurred when the SUV they were travelling went off the Dikchu-Rakdong road and fell into a gorge. Local people and administrative officials rushed to the spot and rescued them. They were members of a football team at Dikchu and were returning from Khamdong after playing a football match organised ahead of the Independence Day. All of them play at a local team in Dikchu. Such football tournaments are organised every year at different places by clubs and organisations. The deceased are Satish Singh, 18, a resident of Dikchu New Market, Tara Chettri, 27, of Jangbusty, Sandesh Rai, 18, and Raj Kumar Rai, 23, both from Aapdara Lower Tintek, all in East Sikkim. Raj Kumar Rai was at the wheel, said sources. The injured are from Dikchu and Jangbusty. They are under treatment at different health centres and hospitals. "We have started an inquiry to know what led to the accident," said a police official. Four footballers based in East Sikkim died and six others suffered serious injuries in a road accident at Third Mile on Thursday late evening.